Rachel and Meridith met as freshwomen studying biology at Western Kentucky University. Their friendship was sealed over a shared love of ecology, silly walks, and hysterical adventures. During graduate school, they had each started their own personal blogs, which they maintained periodically, but never managed to keep going with any sort of regularity. Always A Scientist was started March 2012 by Meridith when she was applying to participate in a simulated Mars Mission and continued on from there. 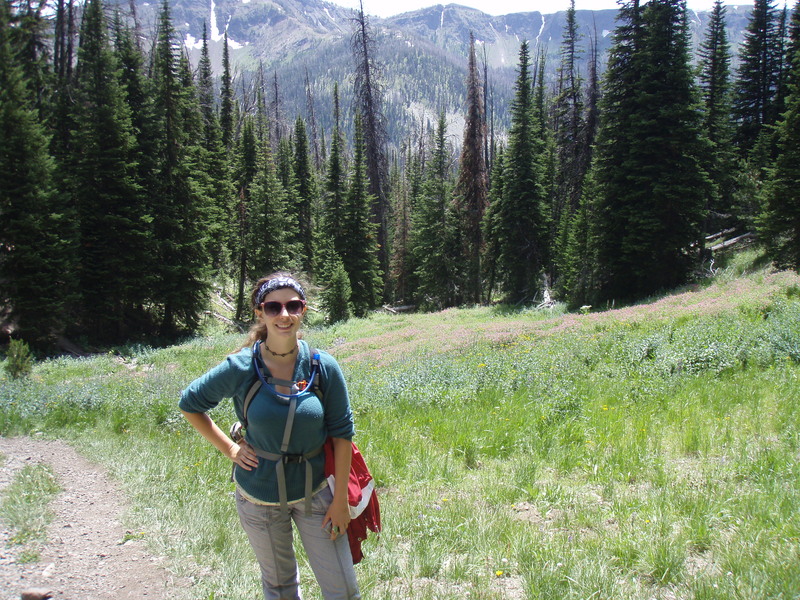 Rachel’s personal blog, Practical Ecologist, started in November 2012, although she often contributed to posts on the Always A Scientist blog prior to that. In November of 2013, Rachel approached Meridith with the idea of joining forces and co-blogging under a new name. Meridith squealed in delighted agreement and it was decided. The name, Sweet Tea, Science, was chosen after much deliberation. It reflects our southern roots and shared love for alliteration (however slight!). You may also find us on Tumblr, Twitter, Instagram, Facebook, Google+, and (eventually) YouTube. I decided to become an ecologist when I read a Zoobook in 5th grade about Tigers and the looming threat of extinction for many tiger species. I felt like there must be something I could do! I learned the word for what I wanted to do with my life as a college freshperson, and the rest is history. When many members of the general public hear the word “ecologist” they think “environmentalists” and while both those words do apply to me, they don’t actually mean the same thing. Ecology is the study of the connections between organisms (monarch butterflies, earthworms, sunflowers, humans, etc.) and their environments. Environmentalists advocate and work toward protection of natural ecosystems from degradation (based on the definition from the Free Dictionary – very offical). While my scientific work is not advocacy (it’s science), I do try to apply information gained through the scientific method to my advocacy activities and positions. Through Sweet Tea, Science, I hope to share my thoughts on how ecological concepts apply to my academic and everyday life, and discuss the impacts of these applications for improving the health of our global ecosystem. I currently reside in the sunny state of California, though I miss the sunny (and humid!) south on a very regular basis! I moved here in 2009, after finishing my BS at Western Kentucky University working with Dr. Albert Meier and Dr. Scott Grubbs. From 2009 to 2012, I worked on a Master’s in Biology at California State University, Long Beach with Dr. Christine Whitcraft. In the fall of 2012, I joined Dr. Ted Grosholz‘s lab to pursue a PhD in Ecology with an emphasis on Conservation at the University of California, Davis. 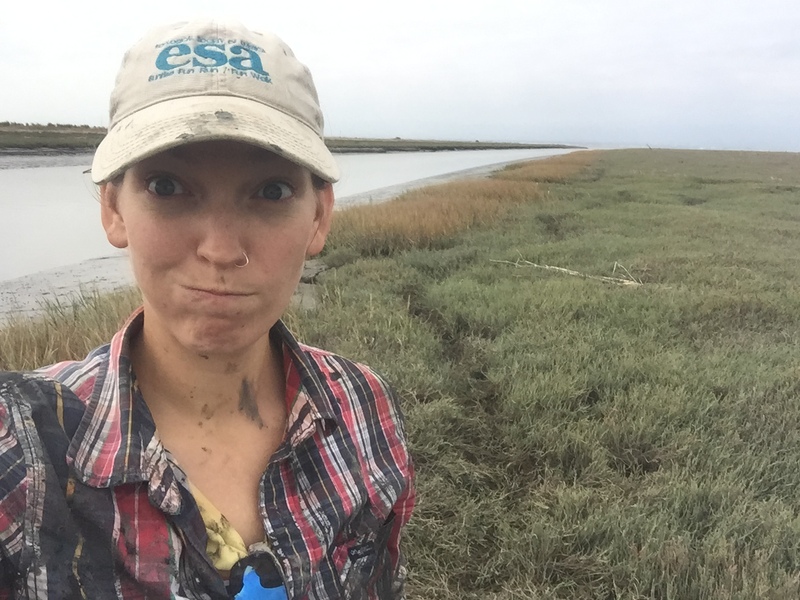 My PhD focuses on the impacts of invasive plants on tidal marshes. You can usually find me knee deep in marsh mud, emails, or a pile of neglected dishes. I started my biology career in the creeks and woods surrounding my small neighborhood in Crestwood, KY. Continuing in this manner, I received my Bachelor’s degree in Biology (minor in Mathematics) from Western Kentucky University. Here, I completed my honor’s research project exploring the role of detritus in food-web dynamics under the guidance of Dr. Albert Meier. I defended my thesis October 2012 and was awarded a Master’s degree in Wildlife Science (minor in Applied Statistics) at New Mexico State University. My research with Dr. Wiebke Boeing explored the use of different environmental parameters (salinity, pH, temperature) as means to control the growth of the microalgae Nannochloropsis salina for use in biodiesel productions. I have recently started my path to PhD by 33! I currently am a PhD student in Statistics at Penn State University. It’s been intimidating going through a field shift, but I’m loving diving deep into statistics so that I can apply what I learn to ecological topics. I’ll miss out on getting to do lots of field work, but I’ll also not have the stress of doing lots of field work! When I’m not busy in academia, I enjoy canoeing/kayaking, beginners rock climbing, hiking, national parks, knitting, and reading way too much. I also love to travel abroad and have spent time in Spain, Italy, Greece, the Caribbean, Thailand, and South Africa. I hope to continue to travel as part of my career. This past summer I took some time to explore the world. I traveled around Europe for 3 months exploring and meeting people and relaxing.